Papyrus is the modern version of a traditional wicker chair from the designer Ronan & Erwan Bouroullec. 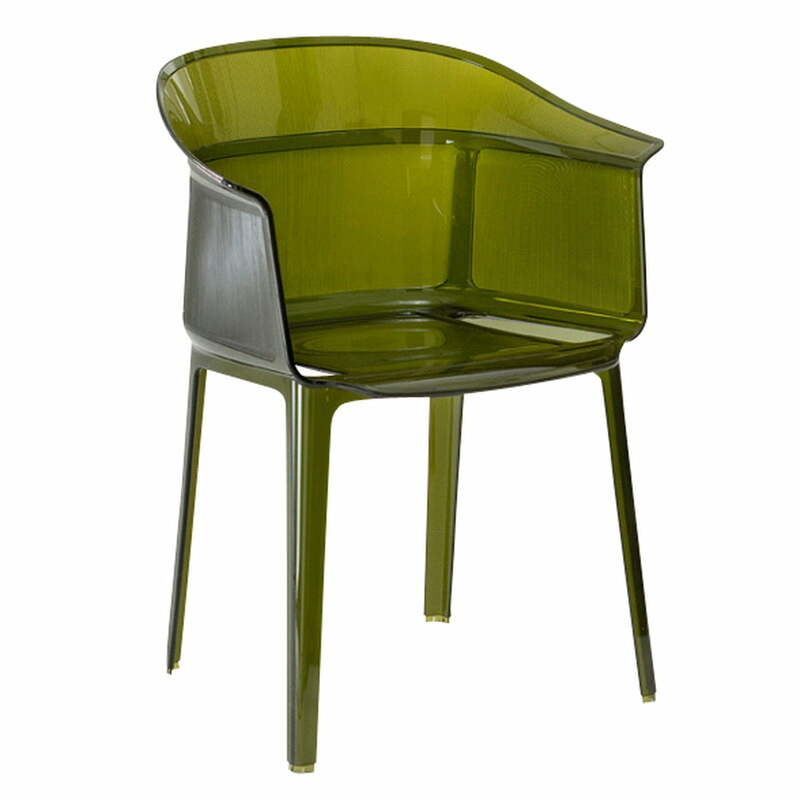 The refined design of the two French is realized by the Italian manufacturer Kartell in a transparent polycarbonate. Simplicity, exclusivity, grace and retrospectives melt together in Papyrus to a modern achetype of the classic wicker chairs. Despite the plastic material that Papyrus is made of, the chair plays with the construction and structure of a wicker chair with plaited seats and wooden frames: behind the transparent seat from Papyrus hides a carrying structure that is lead through the curved surface of the backrest with its soft bowl form and that finally flows forming the frame. The classic design of Papyrus is contrasted by the used materials. 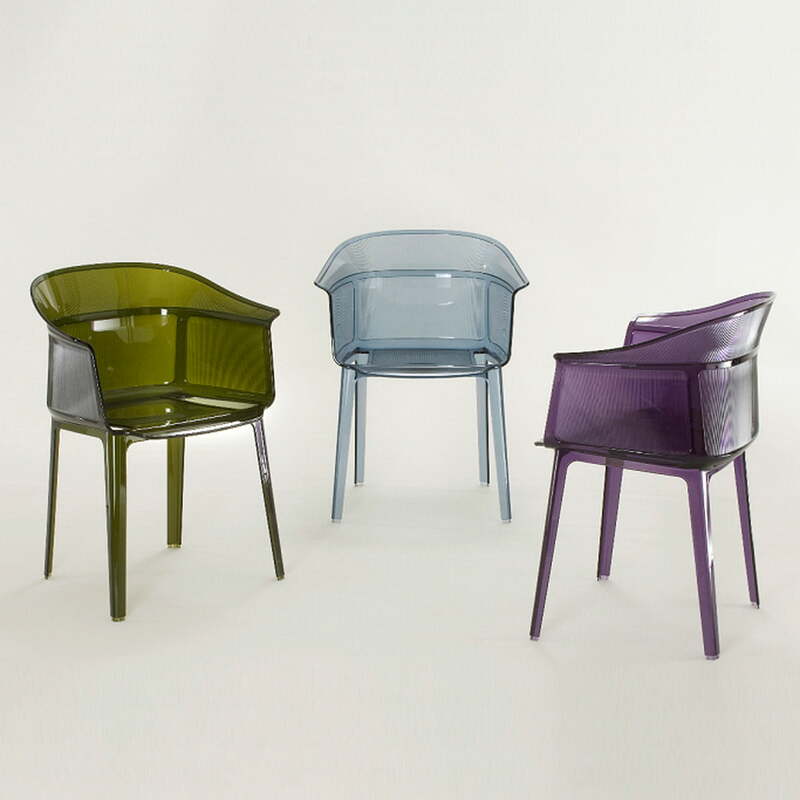 The Italian company Kartell’s experience goes back to many years of manufacturing plastic furniture, now they decided to use transparent polycarbonate for the Papyrus chair. The robust material offers an extremely modern and weightless appeal to the chair. 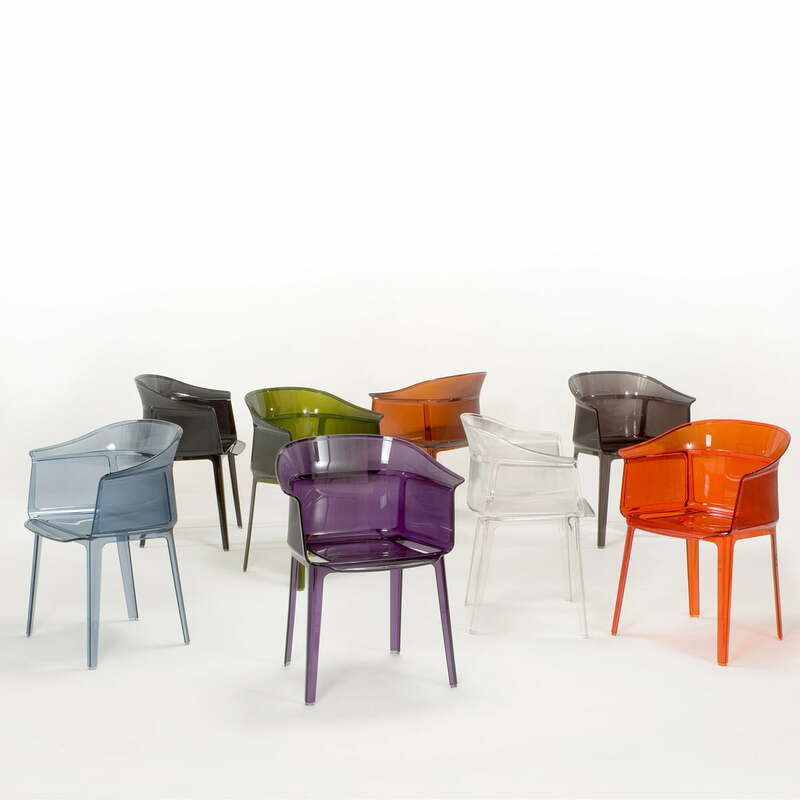 The transparent chair is offered by Kartell in a selection of colours in a retro-trend.